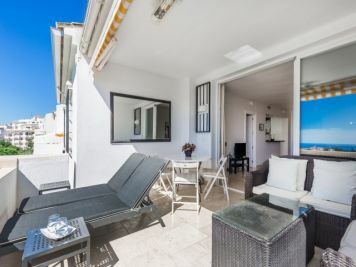 Comfortable and stylish three bedroom penthouse available for holiday rentals. Newly totally renovated 3 bedroom townhouse on 3 floors located in the heart of the Golf Valley next to Las Brisas and Los Naranjos Golf. 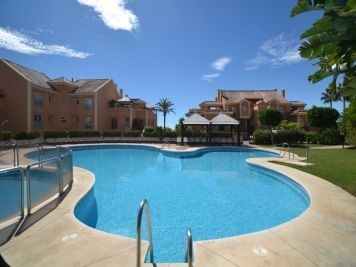 Cosy 2 bedroom southwest-facing first floor apartment located in Aldea Blanca. Lovely 6 bedroom villa that is within walking distance to Puerto Banus and the beach. This is a brand new 1.000 m2 villa in a frontline golf location with fantastic 360 degree view. Beautiful and elegant two bedroom east facing apartment in Magna Marbella with fantastic sea and mountain views. Front line Las Brisas Golf, 5 bedroom east facing villa offering breathtaking golf and La Concha mountain views.